Nationally, about 12 percent of licensed drivers are not insured. In Colorado, however, the number of uninsured motorists is higher, as between 15 and 16 percent of motorists – or more than 1 in 7 drivers – in the state is not insured. This can be unnerving for those who comply with Colorado’s insurance requirements – and it may be downright distressing if one of these drivers ends up hitting you. The good news, however, is that there can be options for compensation in these situations. With about 15% of CO motorists being uninsured, here’s what you should know about protecting yourself in case you’re hit by one of these drivers, a Littleton car accident attorney explains. 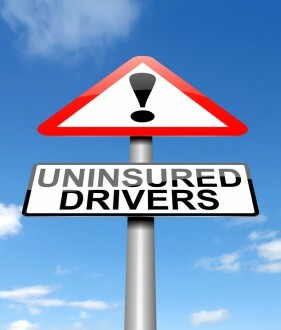 If a driver without insurance (or without sufficient insurance coverage) hits you, you may be able to get compensation from your own insurance company as long as you have uninsured/underinsured motorist coverage (UM/UIM coverage). This coverage, which is considered to be an “add on” to basic coverage, can allow you to obtain compensation for your property damage and maybe even your injuries after an uninsured or underinsured motorist hits you. Simply having this coverage does NOT guarantee you to a payout. Insurance companies can be difficult to deal with (if not downright adversarial) when you file a claim, as they will be focused on protecting their profits (and this can come at your expense). When it comes time to file a claim, be careful about what you say and your dealings with insurers. Also, be sure to retain all correspondence from insurers. You never know when you may need it later. If an insurance company tries to claim that you don’t have UM/UIM coverage for any reason even though you know that was a part of your policy, talk to an experienced attorney ASAP. You may be dealing with insurance bad faith, and if so, having a lawyer on your side can be pivotal to obtaining the compensation you deserve. If you have been hurt in an auto wreck caused by any negligence, contact a Littleton car accident attorney at Bahr, Kreidle & Flicker for help getting on the path to financial recovery. Our lawyers know how serious and devastating the impacts of auto wrecks can be, and we know that many injured people depend on settlements to get the medical treatments they need. That’s why we are committed to advocating injured people’s rights, helping them hold negligent parties responsible and getting them the highest possible awards for their injuries and losses. To set up a meeting with one of our experienced attorneys today, call us at (303) 794-7422 or email us using the contact form on this page. From our law offices in Littleton, we represent clients throughout Colorado, including in the Denver Metro Area, Arapahoe County, Adams County, Jefferson County and the cities of Lakewood, Highlands Ranch, Lone Tree, Castle Rock, Westminster, Centennial and Aurora.